MONTEREY, Calif., Nov. 29, 2016 — The 14 historic race car run groups are set for the Rolex Monterey Motorsports Reunion, August 17-20, 2017 as owners, drivers and enthusiasts now begin focusing their sights on applying for the limited 550-grid field that will be accepted to compete. The entry request process continues through January 31, 2017 and is conducted exclusively online at www.MazdaRaceway.com. Last year, more than 1,000 submissions were received with the owners hoping to have their cars be one of the 550 accepted that raced before a record crowd of 70,525. Each car accepted will be based on its authenticity, race provenance and the historical accuracy of its mechanical preparation and livery. 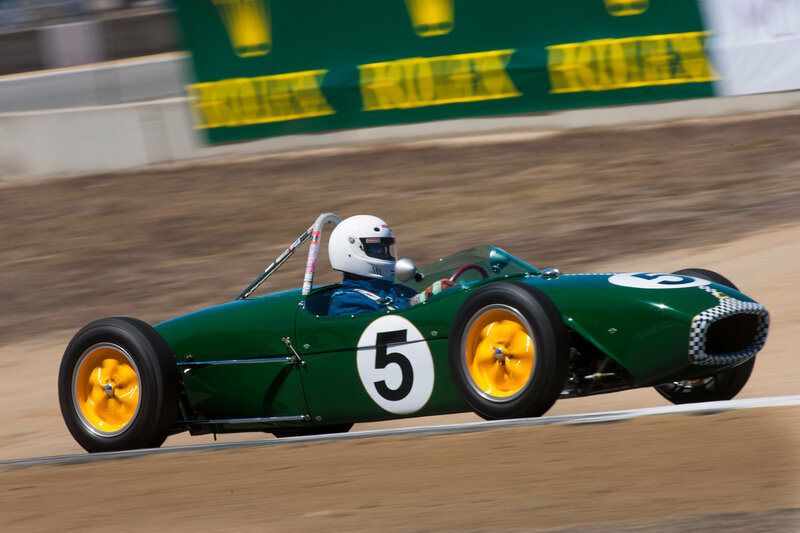 This strict code of authenticity is a distinguishing hallmark of the Rolex Monterey Motorsports Reunion. Advance hospitality, VIP, preferred parking and general admission tickets to the Rolex Monterey Motorsports Reunion go on sale Nov. 30 at wwwMazdaRaceway.com. For additional information, please call the Ticket Office at 831-242-8200.